Here is some lovely mail I received recently, great isn’t it! 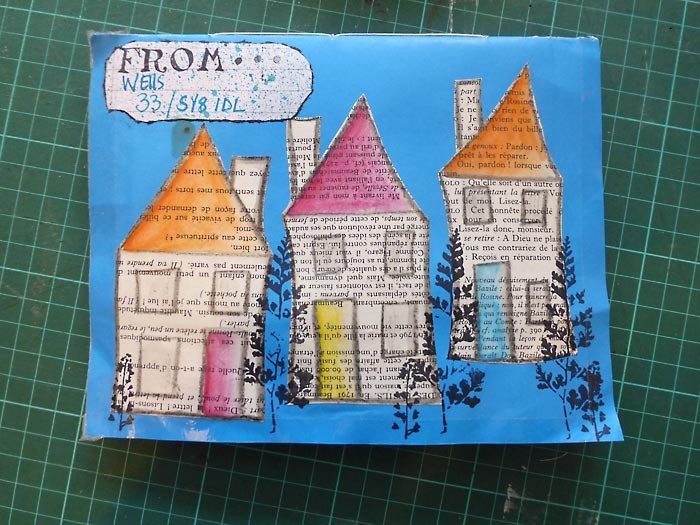 I had to show you all angles of this mail art from Catherine because it had decoration on both sides and yummys in the middle! 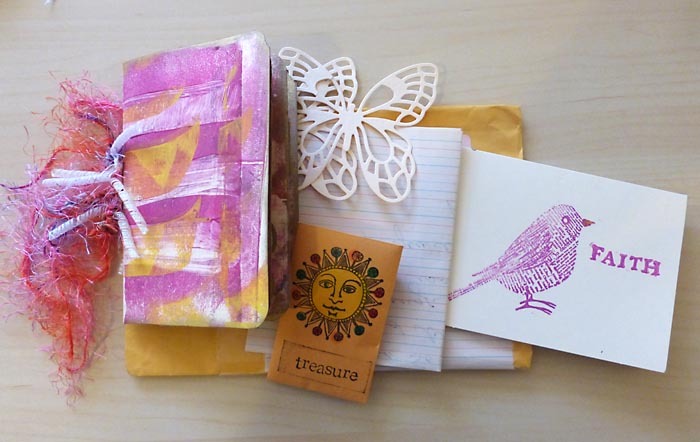 This gorgeous package from Nancy is beautiful. 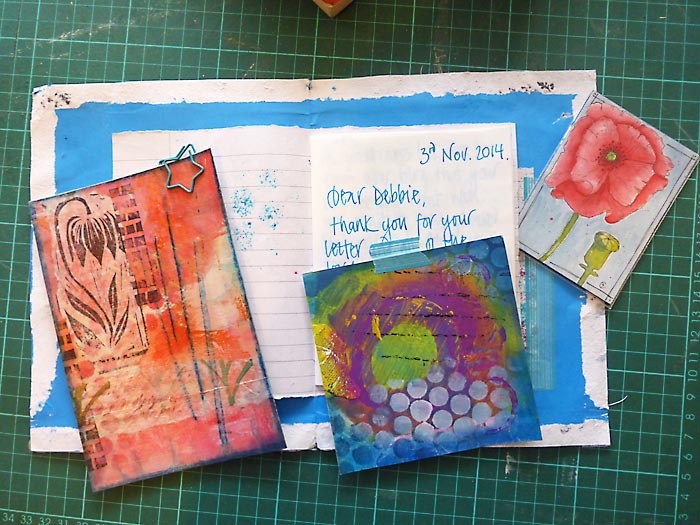 A lovely letter and lots of surprises in the handmade book. 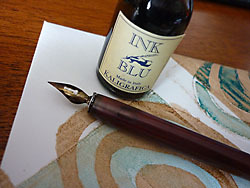 Catherine’s mail is lovely! And Nancy’s color scheme is just like a sunset. 🙂 Both beautiful! 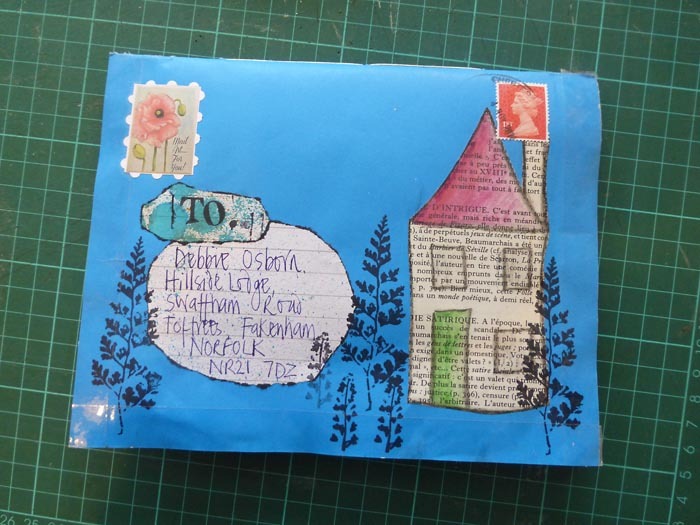 So pleased you like it Debbie….I taped it all up so nothing would come apart in the post and then realised how tricky it might be to open nicely but it looks like you managed OK ! !